From the Star Wars The Last Jedi collection by Hasbro. 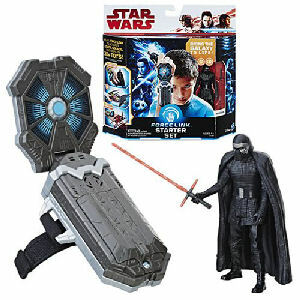 Star Wars The Last Jedi Force Link Starter Set. From the Star Wars The Last Jedi collection by Hasbro. Star Wars The Last Jedi Force Link Starter Set. Link wearable technology activates motion-controlled phrases - lights and sounds in over 30 toys. Action figures measure 3.75 inches tall.